Beet mosaic virus, known scientifically as BtMV, is an unfamiliar disease for most gardeners. 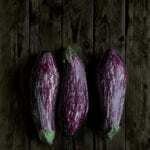 It can, however, show up in home gardens, especially in areas where beets or spinach are grown commercially. So what is mosaic virus on beets? Like other mosaic viruses, beet mosaic virus causes plants to develop mottling and speckling on their leaves, along with other symptoms. In addition to beets, the virus also infects Swiss chard and spinach, which are all members of the plant family Amaranthaceae. Fortunately, mosaic virus on beets causes less severe symptoms than many other beet viruses and will not cause loss of the entire crop. Mosaic virus symptoms on beets usually appear on younger leaves first. 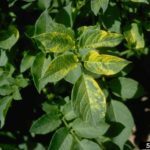 On young leaves, the infection causes chlorosis (pale or yellowish color) along leaf veins. Early in the infection, the pale veins are noticeable at the tips of leaves; later the symptoms spread toward the base of leaves, following the leaf veins. As leaves mature, the vein chlorosis may become less noticeable, but eventually, most of the leaf will be covered with pale blotches. Discolored rings may also appear on leaves. Later, the center of the ring becomes necrotic and may fall out, leaving holes in the leaf. 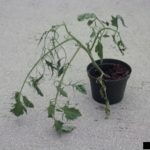 Older leaves may also appear puckered, and affected plants may be stunted. 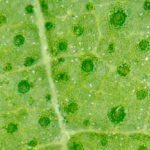 In Swiss chard, spinach, and some beet varieties, symptoms may appear as small yellow speckles or flecks all over leaves. Later, these may progress to large yellow or pale blotches. If you notice mosaic virus symptoms on beets in your garden, check the plants for aphids. Aphids of several species are responsible for spreading the virus from plant to plant. Treating beet mosaic virus is impossible once symptoms appear, but you can treat to control the aphids that carry the disease. 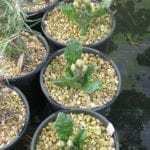 Control aphids by spraying down plants with water, by releasing natural predators, or by using a mixture of soap and water. If you’ve had trouble with beet mosaic virus spreading to your garden from nearby farms or gardens, it is especially important to control aphids in the garden during mid-spring, when the disease is often introduced. You may also want to delay planting beets until late spring to avoid the time when the greatest number of virus carrying aphids are typically present. Prevention is an even better option. The virus is maintained from year to year on overwintering, infected beets or other affected plants. If beet mosaic virus puts in an appearance in your garden, prevent it from returning the next season by cleaning up the garden in fall, removing all residues of beets, Swiss chard, and spinach. Avoid overwintering beets and chard until the disease is eliminated.